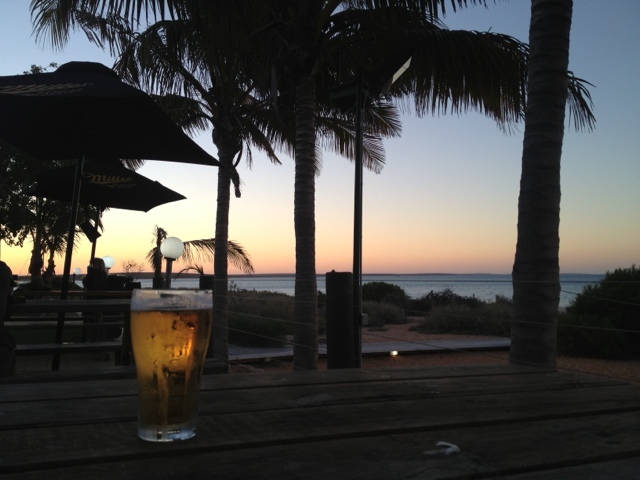 Late start today as i had to have a couple of coffees and sort some banking out. So I squirted out to the national park intending to see the gorges and the "natures window". However, when I got there the road was very corrugated and it was going to take an hour each way and then I still had four hours beyond that. So I turned around and headed north. The earth is very read now, the wild flowers spectacular but the wind is terrible, a 20kt cross winds again. 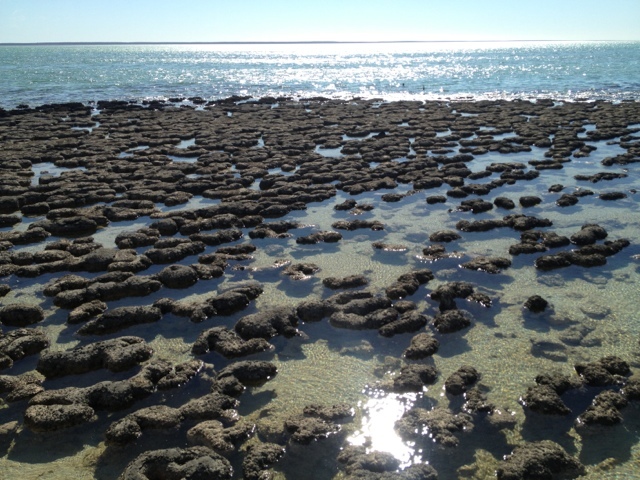 Any way the ride was pleasant enough and i stopped at Hamelin bay to see the Stromatolites. Yep more friggin Stromatolites but these are supposedly the best and most diverse collection in the world and I love these little guys. 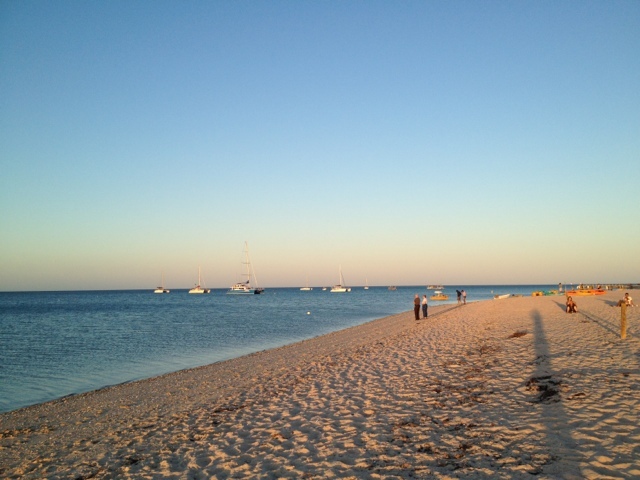 About 5:30 I arrived at Monkey Mia and now I'm settled on the beach watching the sunset and celebrating with a cleanser.